Guest house Orlović ~0,6 km, Budva Featuring a back yard and a sizable outdoors terrace with grill amenities, Bed and breakfast Orlović is located in Lastva Grbaljska, 6 km from Budva. 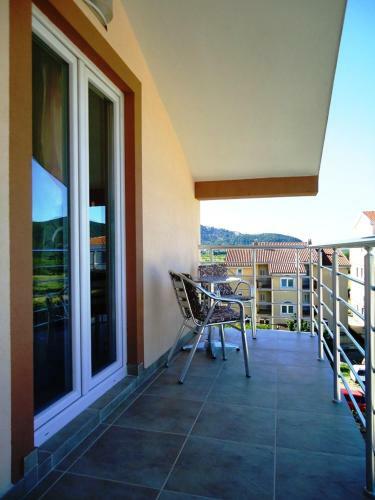 All rooms and apartments come with air conditioning, a TV and a private balcony or a patio. Supermarkets and eating places can be reached within 150 metres. A tennis court and sport facilities can be found 500 metres from the property. Lovćen Mountain with historic landmarks and cultural attractions can be reached within 6 km. 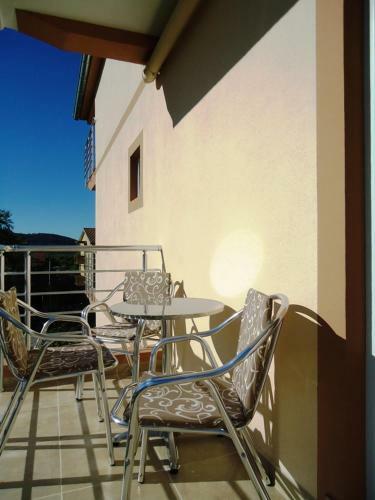 Apartments Royal ~0,5 km, Budva price per day from € 30 Featuring a back yard and free internet access access throughout, Apartments Royal presents self-catering accommodation in Lastva Grbaljska, a 7-minute drive from Budva town centre. The Jaz beach is 3 kilometers away. With a balcony and patio, each air-cooled apartment is fitted with a satellite lcd tv and a kitchenette with fridge and coffee machine. The private toilet comes with a shower. The Tivat Flight terminal is a 16-minute drive from Royal Apartments. 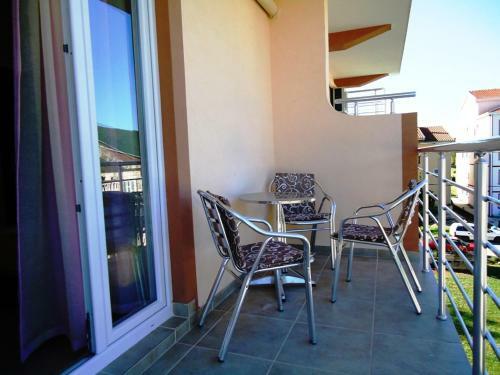 Apartments Garden ~0,7 km, Budva price per day from € 30 Situated in Budva, Apartments Back yard is 3 km From Jaz Beach and 4 km from Mogren Beach. It presents self-catering apartments with gratis wireless internet, air conditioning and a balcony with views of a vegetable patch. Each apartment offers a kitchen with kitchenware, a refrigerator and a stove. Becici ( ~ 6.4 km ): 107+ accommodation units. Bigovo ( ~ 9.5 km ): 17+ apartments. Sveti Stefan ( ~ 10 km ): 107+ accommodation units. Kotor ( ~ 13.4 km ): 247+ accommodation units. Tivat ( ~ 16 km ): 159+ apartments. Petrovac ( ~ 16.3 km ): 145+ apartments. Beach Jaz, Budva ~ 2,5 km from Apartments Nedovic-Jaz Sandy beach: ideal for families, recommended for young people, with restaurant, with caffe bar, equipped with showers. Excellent choice of watersports. Beach Mogren, Budva ~ 4,3 km from Apartments Nedovic-Jaz Sandy beach: recommended for young people, awarded with blue flag, with restaurant, with caffe bar, equipped with showers. Excellent choice of watersports. Beach Slovenska, Budva ~ 4,8 km from Apartments Nedovic-Jaz Sandy beach: ideal for families, recommended for young people, with restaurant, with caffe bar, equipped with showers. Excellent choice of watersports. Beach Sveti Nikola, Budva ~ 5,6 km from Apartments Nedovic-Jaz Sandy beach: ideal for families. Beach Guvance, Budva ~ 5,7 km from Apartments Nedovic-Jaz Sandy beach: ideal for families, with caffe bar. Restaurant Tramontana, Prcanj Guest reviews: 8/10 ~ 2,1 km from Apartments Nedovic-Jaz Address: Glavati bb, Prcanj. Cuisine: Yugoslavian.